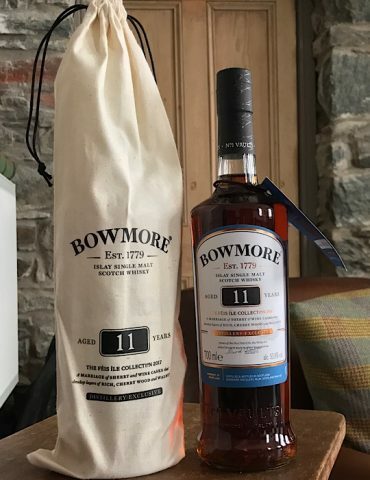 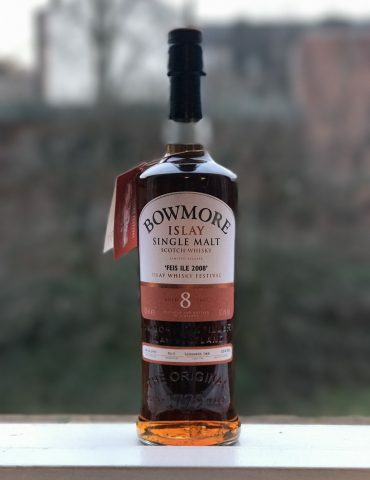 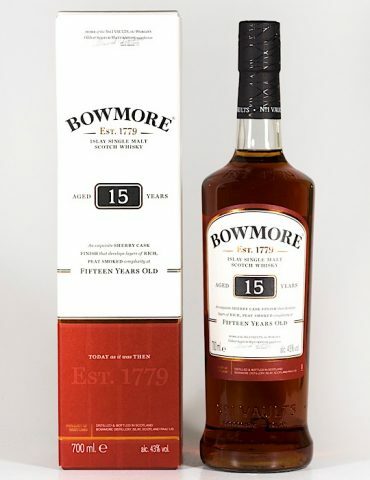 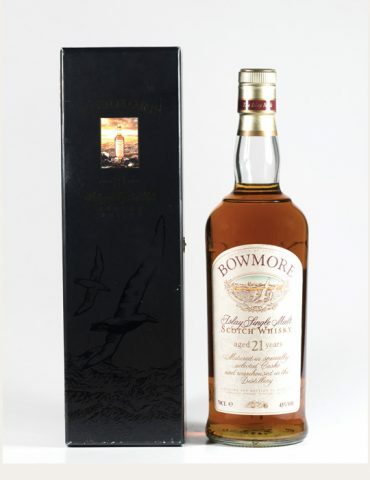 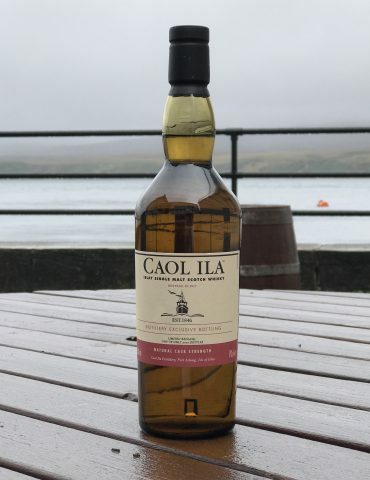 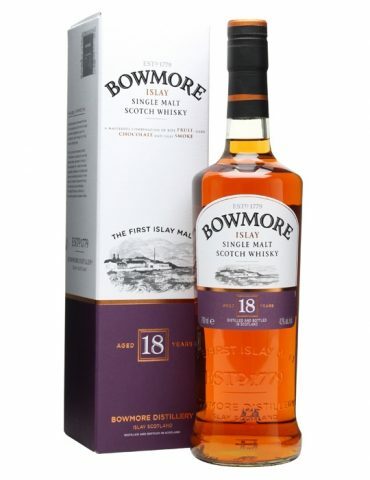 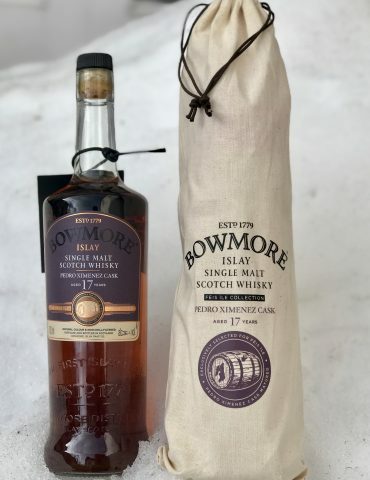 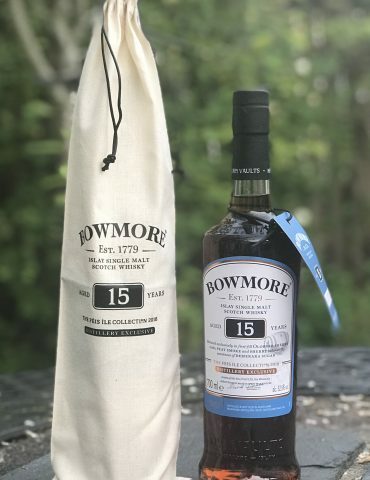 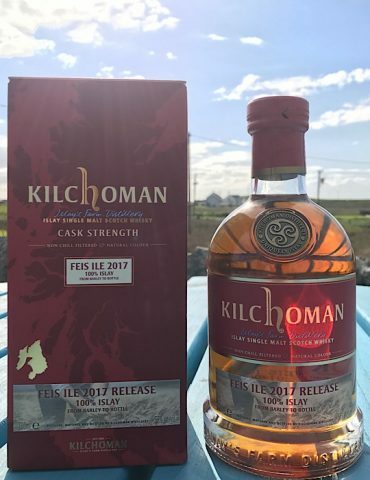 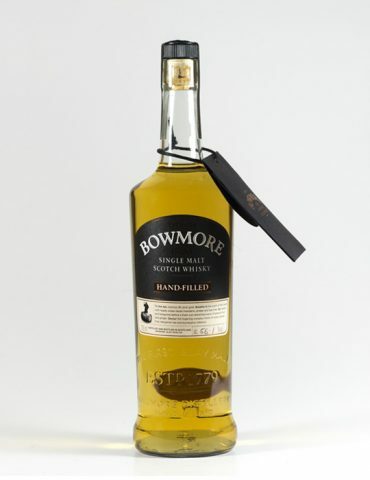 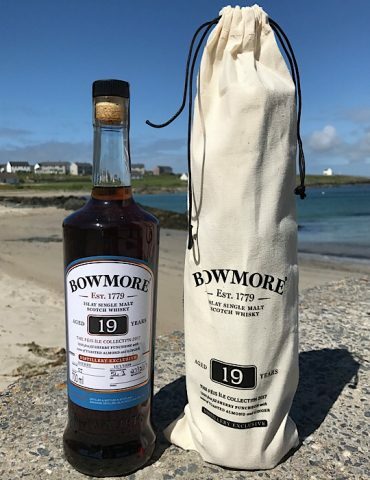 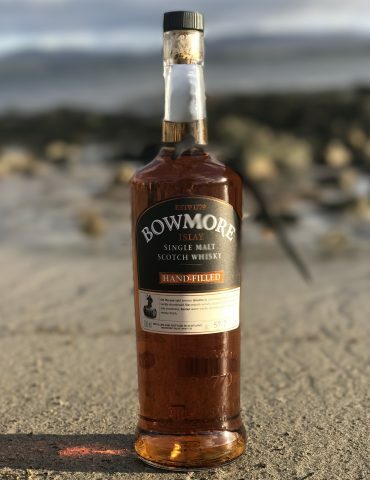 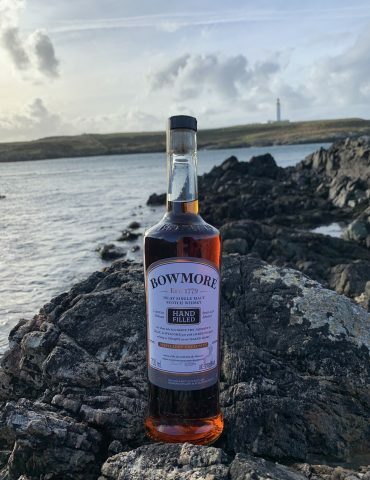 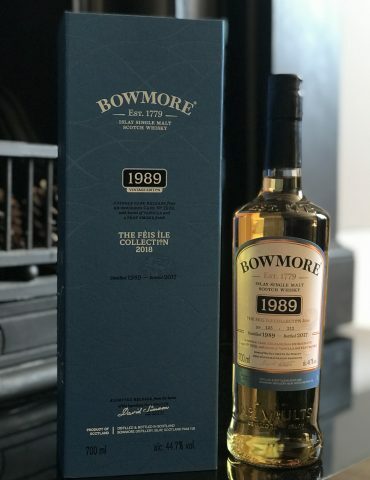 This is a beautiful rare release from Bowmore Distillery on Islay. 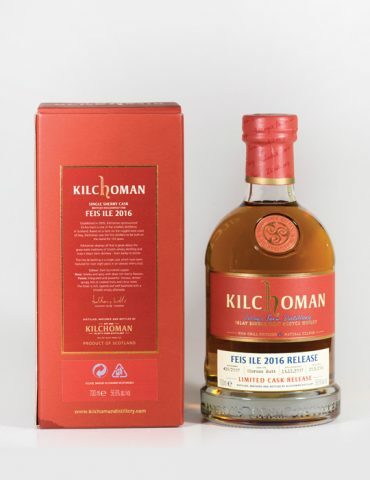 This Stillmen’s Seclection bottle is part of The Craftmen’s Collection. 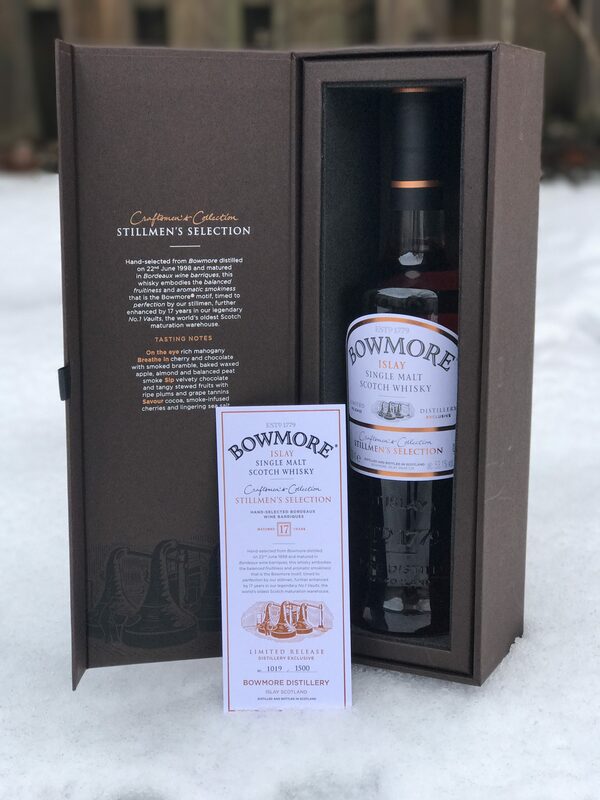 Hand-Selected from Bowmore, distilled on 22nd June 1998 and matured in Bordeaux wine Barriques, this whisky embodies the balanced fruitiness and aromatic smokiness that is the Bowmore motif, timed to perfection by their Stillmen, further enhanced by 17 Years in the legendary No.1 Vaults, the world oldest Scotch maturation warehouse. 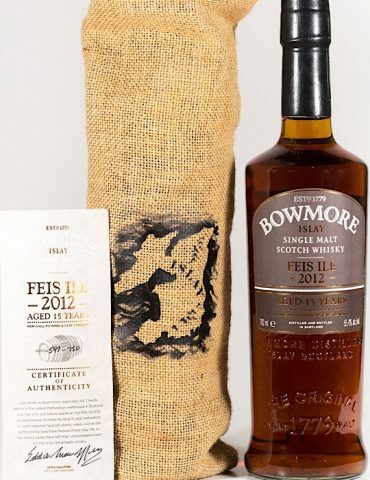 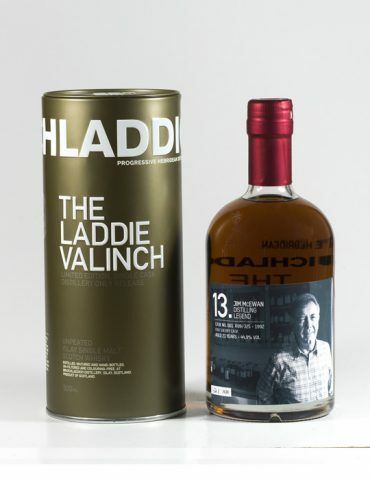 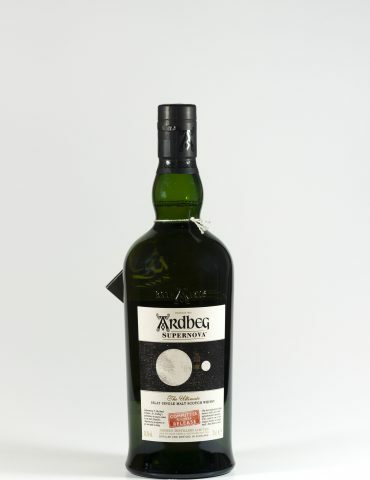 Limited to only 1500 bottles and each sold at Bowmore Distillery on Islay. 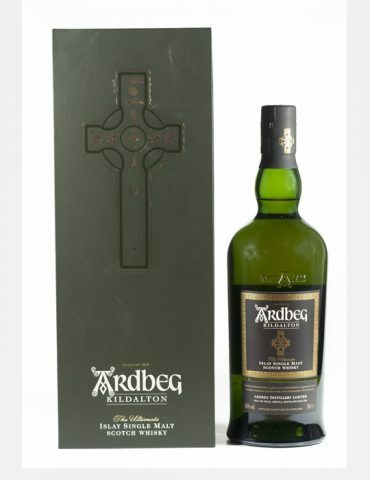 Each bottle is also numbered individually.